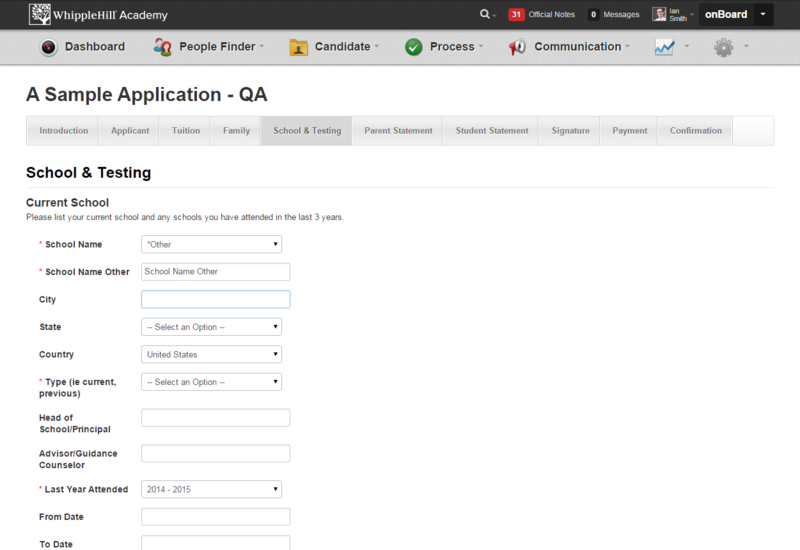 Why can't a user submit an application when they select school name other? Why can't a user submit an application when they select School Name Other in the drop down and input the school name into the School Name Other text field? This is because it is an either or option. If you select a school name from the drop down you do not need the text field and if you type the school name in the School Name Other text field, then you do not need the drop down. Users think they need to select Other in the Drop Down and Type the School Name in the Text Field. 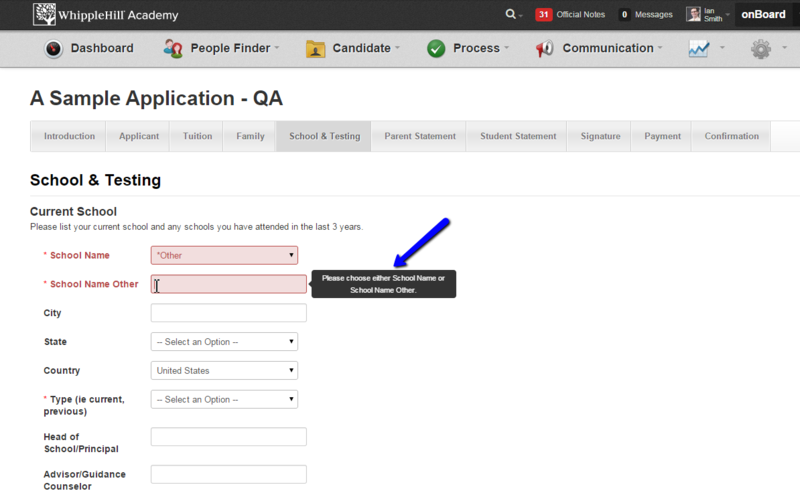 If you type into the text field after selecting Other in the drop down then you are not prompted that is is incorrect and the Application will not submit saying there is a issue with the School Name. To avoid confusion do not use Other as a Sending School Name option so this does not confuse Applicants.